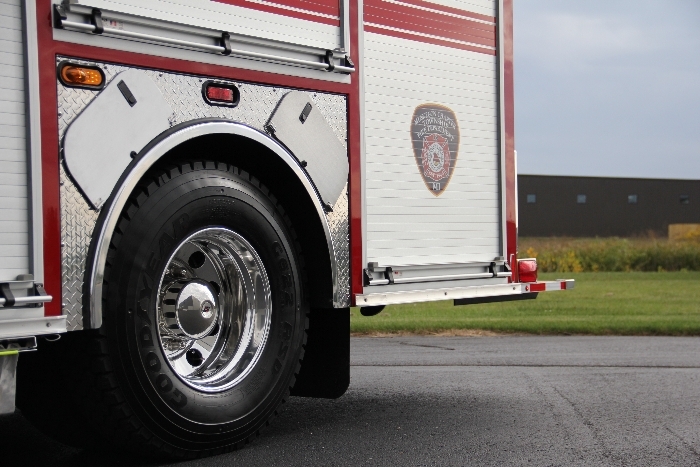 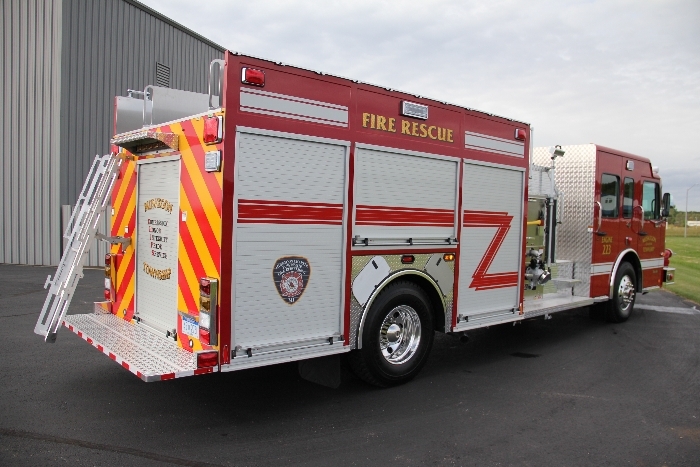 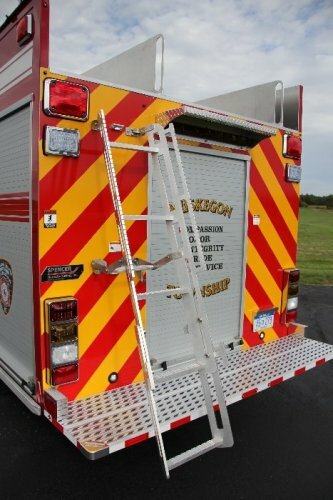 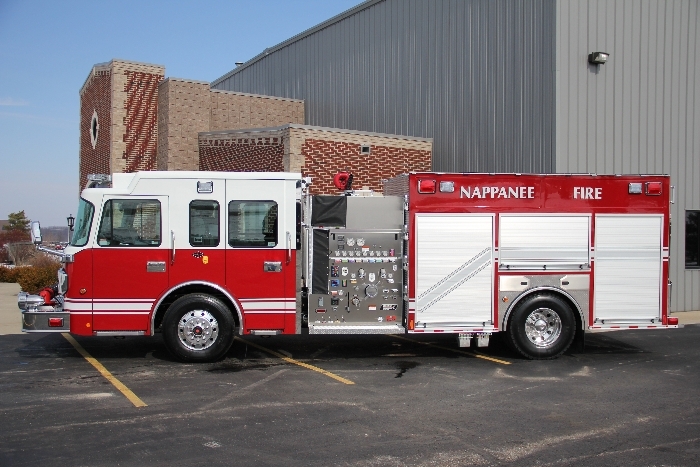 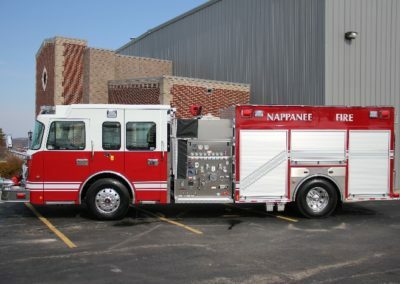 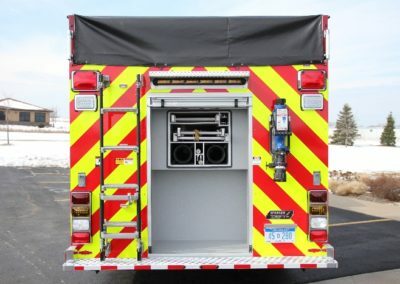 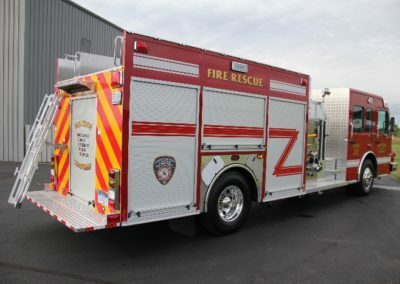 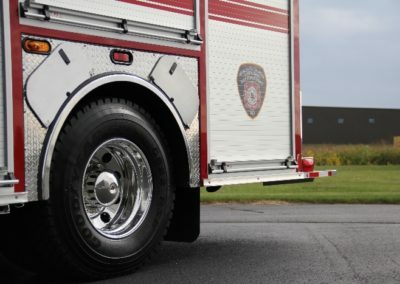 Muskegon Township has just taken delivery of a beautiful Top-Mount Chassis. 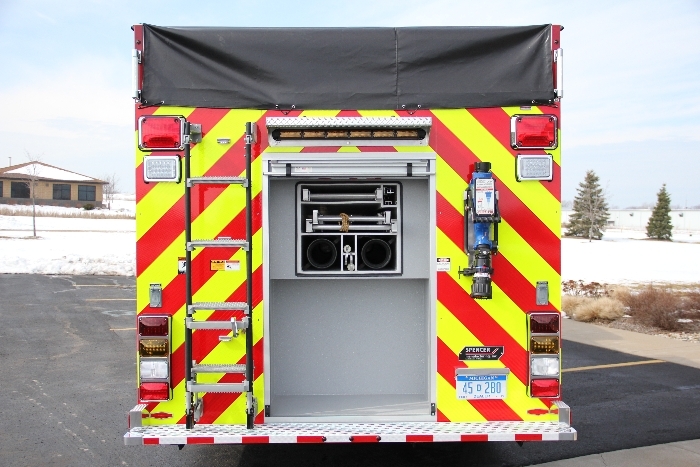 The truck is powered by a Spartan Metro Star, 4-door Chassis. 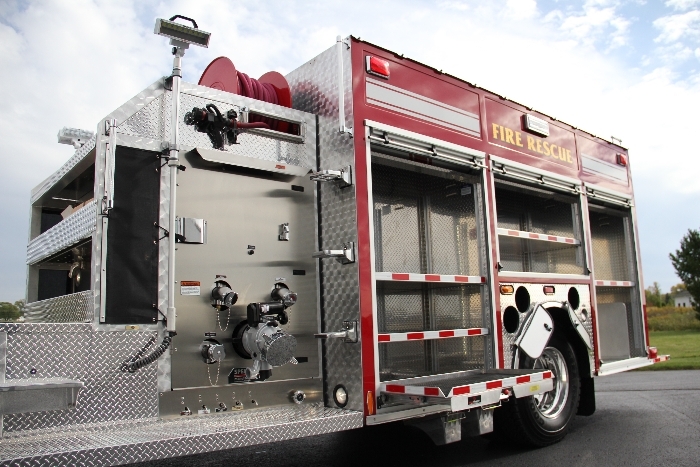 This pumper is also equipped with a 1500 GPM Hale Pump as well as a 1000 gallon Poly Tank from APR. 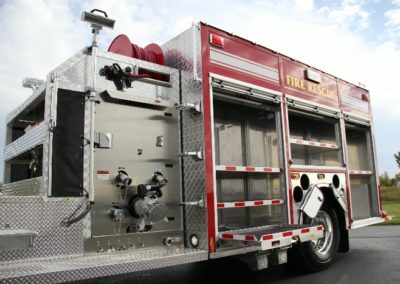 Other features of this impressive rig include a Smart Power 6.2 KW Generator, TFT Deck Gun, Whelen LED Lights, FRC Scene Lights, ROM Roll-Up Doors and Roll-Out Trays by Innovative Industries.